1. Electroform weld use. Protection mirror. Helmet. Three breaks packing box). 2. Plastic thermoforming packaging: good transparency and brightness. 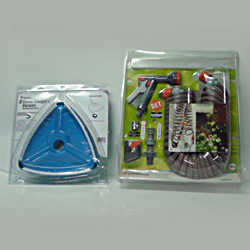 Our products can be widely used in the packaging of hardware, cosmetic, hardware, toy, gift, handicrafts, medical care and electronic products. Thermoforming & vacuum forming: We supply our best quality plastic packaging and on time delivery to your requirement by order basis or OEM/ODM basis.